"If Barry Bonds were subject to the rules of track and field�America's premier Olympic sport, holding its national convention in Honolulu this week � his home run records would be "going, going, gone," as famed announcer Mel Allen used to say as the ball sailed out. There would be no asterisk--Bonds' record would be annulled. Henry Aaron would be given back his hard-fought 1974 record of 755�and that's just what baseball should do." -runner and former spokesman for the White House National Drug Policy Office, Robert Weiner, writing in Honolulu's Star-Bulletin. Finally, someone points out that track (and cycling) despite their tainted drug past are trying to clean it up currently way more so than other sports. *Meet Entries/Results/PhotosCan Be Found Here Don't say we don't love our Candian neighbors. Rojo was actually going to go watch but instead has to spend the day at some ridiculous Dec 1 track meet. Race Preview The race is one of 3 Japanese Olympic qualifiers but this one is totally loaded with both Japanese and international talent. The field is so loaded that two sub 2:08 Japanese guys are considered non-invited runners. The field includes current and former national marathon record holders Toshinari Takaoka and Atsushi Fujita as as well as Shigeru Aburaya (fifth in the 2001&2003 WChamps and 2004 Olympics) as well as Atsushi Sato, the national Half Marathon record holder. 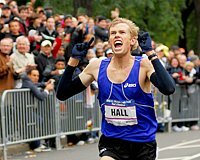 Foregn entrants include Irishman Mark Carroll as world half-marathon record holder Samuel Wanjiru, who is making his marathon debut. 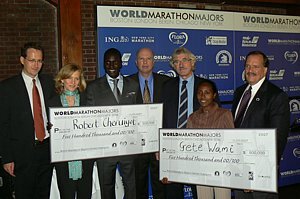 Marathon Debut of Samuel Wanjiru: What Will the World Half Record Holder Run? *Meet Preview/Coverage (dyestat.com) Fayetteville-Manlius Girls are looking to repeat. The races will be webcast live starting at 1:15 EST. 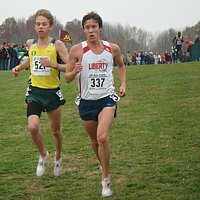 Footlockers, the one HS race that everyone in our mind should be required to pay attention to, is next weekend (we're working on a prediction contest). Preview of Sunday's IAAF XC Meet in Spain The reigning world champ, Zersenay Tadese, will be there to watch his younger brother race in the field that is loaded with African talent.